Entrepreneur: Martin Lisius, founder and president of Arlington, Texas-based Tempest Tours, which conducts storm-chasing expeditions. "Aha" moment: "We'd been storm-chasers for a long time, and people would ask if they could go with us," Lisius says. So in 2000, he started Tempest Tours, working with a climatologist, a tornado scientist and one van. Tours, which range from four to 10 days, take off from Arlington, Oklahoma City and Denver from late April to early July (prime tornado season). A schedule with dates and locations, based on climatology predictions, is posted a year in advance at TempestTours.com. The self-funded venture has expanded its staff to 15 and has seen slow but steady growth of about 5 percent over the last three years. Why? To educate folks who are curious about the science of weather. "We're not really thrill-seekers. Don't get us confused with those guys on the Discovery Channel," Lisius says. "We don't drive into tornadoes; we don't hyperventilate when we see them. It's just normal business for us." Lisius has been storm-chasing since the mid-1980s and is the founder of StormStock, the world's largest library of storm footage. He even helped work on the 1996 blockbuster film Twister. The National Weather Service uses storm video he shot as part of its official training program. Customers: "They're all weather geeks," Lisius says, noting that the customer base varies widely, from families to students to professionals, but tends to be "very intelligent, well-educated." About half are repeat customers, Lisius says; some have returned multiple times. Many come from overseas, particularly the U.K. and Australia. Lisius expects about 103 tornado-chasers this year. "Most are people who want a natural experience, a learning experience," he says. "They want to see nature untouched by man." Cost: Prices vary. For 2013, the range will run from $1,695 for a four-day group tour to $3,295 for 10 days. Prices include lodging and a T-shirt. Private tours can also be arranged. Gone with the wind: Since there's no controlling the weather, there is no guarantee a tornado will be sighted. (Guests must acknowledge this in writing.) 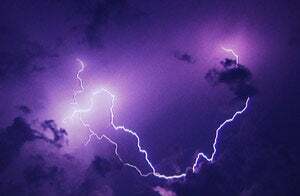 Tempest averages eight tours per season and two tornadoes per tour; at the very least, Lisius says, guests are highly likely to see supercells (severe thunderstorms). "Because we thoughtfully match our base cities with the highest frequency of tornadoes for that time on the calendar, severe weather is very common for every tour," he says. "Our guests pay a lot of money and want to see great storms. It's our responsibility as experts to give them the very best experience possible, and we do just that." If guests show up and there's nary a tornado in sight, Tempest will take them on a tour of facilities like the National Weather Service's Storm Prediction Center or local points of interest. Up next: Testing new tour concepts. 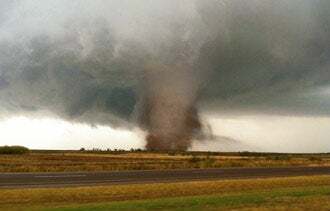 This year Tempest created a Luxury Tornado Tour, with fancier lodging, and an outing led by Jenna Blum, author of bestselling novel The Stormchasers.